Summer winds down, Congress filters back into town, and kids return to school. I thought I’d take advantage of this in-between time to share some of the bicycles I had the pleasure of encountering over the past three months or so. Some were seen on commutes around Washington, D.C., others spied during weekend rides and events, and still others spotted during my wonderful vacation in Boulder, Colorado. Since my commute route has changed I sometimes encounter this famous local person on his Surly Cross-Check. I know it’s hard to focus on the bike because of his awesome red Vans. 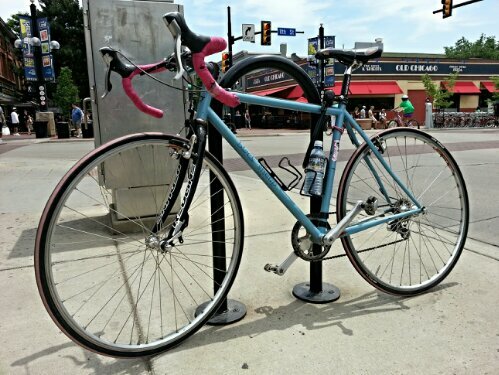 Various models from the Surly line are frequently seen on our city’s streets. 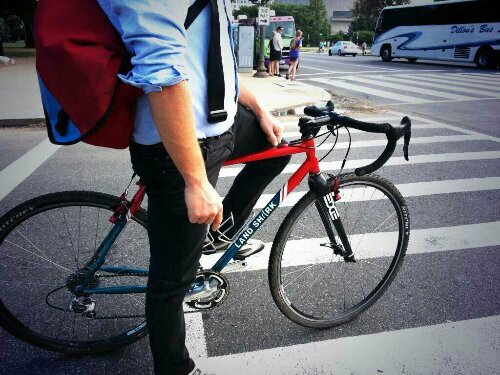 They’ve become an extremely popular bike for the urban commuter. 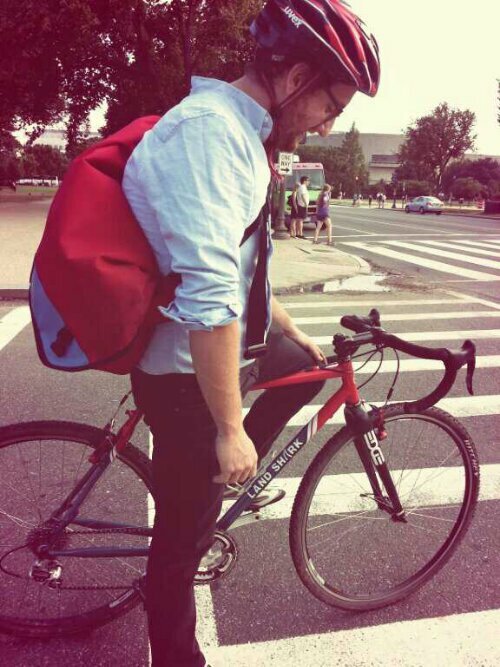 The Surly Cross-Check is not only used for commuting, though. No! 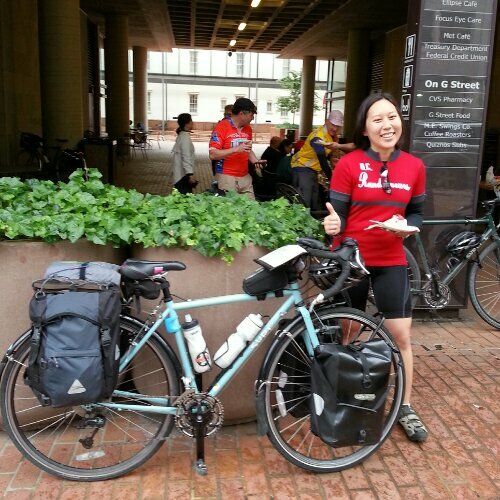 This summer, #BikeDC’s own Crystal used her Cross-Check to travel cross-country from Washington, D.C. to California, carrying 60 pounds of gear. 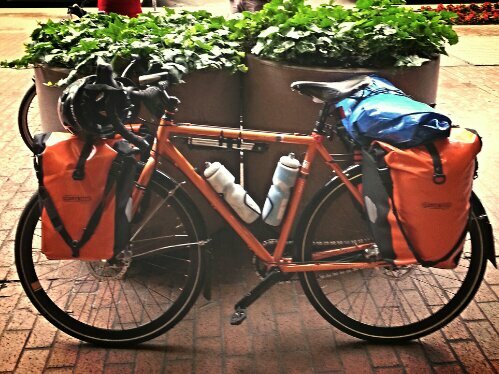 Her fiancé Adam went too, riding a Raleigh Furley which is also billed as a cross bike, and hauled 80 pounds-worth of stuff along the way. 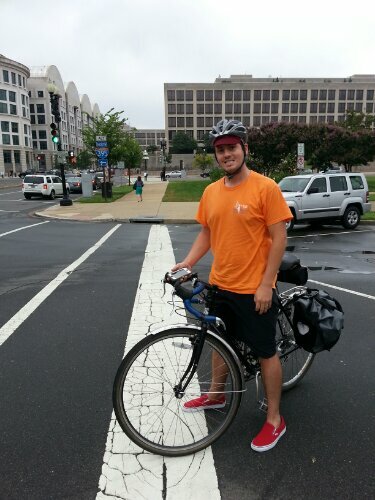 #BikeDC had the pleasure of seeing Crystal and Adam ride out on the first day of their summer-long cross-country adventure. 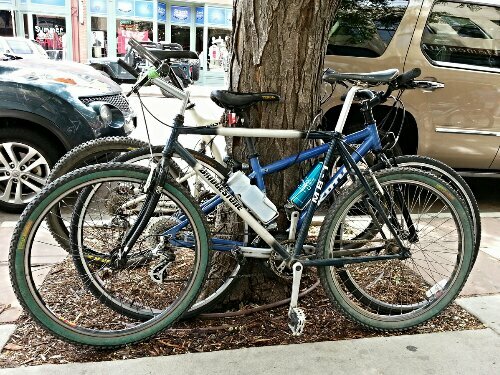 Cross bikes are everywhere. During one ride home from the office a beautiful Land Shark cross bike pulled up beside me, painted in the 7-11 color scheme. Land Shark is out of Oregon, and the owner informed me that the bike he was riding was the same model that Andy Hampsten rode when he won the Giro d’Italia. Here’s another look. Enough about cross bikes for the moment. Let’s talk road. 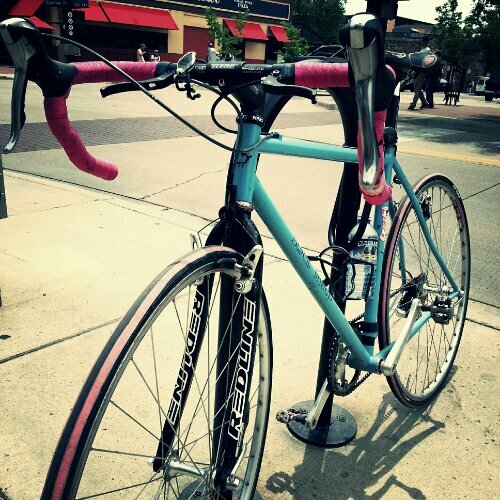 While we were in Colorado, we spent a day riding around with our friend Foon, who rides a custom titanium Moots. 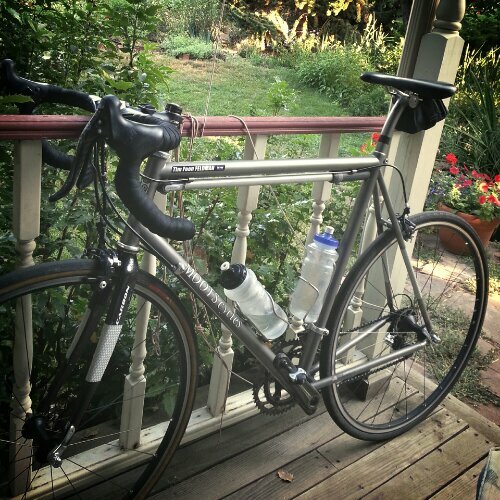 Foon uses this bike for long rando rides and I believe he also rode it during the Elite Transcontinental Pac Tour (coast to coast in 17 days!) that he completed a couple of years ago. Based in Steamboat Springs, Colorado, Moots has been building bikes since 1981. Foon has one of the pre-block lettering logo that Moots uses now. I think Moots makes beautiful bikes and I find the script lettering of the older models is a more elegant look. Boulder, Colorado, is home to some amazing bikes, and Felkerino and I saw some pretty ones locked up in various places around town. This classic 90’s Bridgestone MB-1 was one of them. Green to white fade paint job, I’m not sure of the exact vintage. As many know, Grant Petersen worked for Bridgestone before founding Rivendell Bicycle Works, and Felkerino and I have a couple of Rivendells. Or more than a couple. Anyway. We like the bikes Grant makes. As we made our way over to the coffee shop one morning, I could not stop my head from turning to admire this Black Sheep road bike. A custom builder from Ft. Collins, Colorado, Black Sheep’s website promotes its talents with titanium, but this steel beauty sure looks delicious. Stay tuned for Part 2 of the Summer Bikes Sampler, coming soon to a blog near you! Excellent pick for Colorado builders. Both companies make spectacular bikes! Judging by your photos of Boulder, you found some good restaurants, too. Not the one in the photo, but the ones just out of frame.